vampire | This is KMI TV! I loved the book and can’t wait to see it adapted to film, however unless the film runs over 5 hours, the story will have to be adapted a bit. Here are just a few of my suggestions. Anyone who finished middle school in America knows who Abraham Lincoln is. Sixteenth president, freed the slaves, killed in a theater by John Wilkes Booth. With that in mind there is no need to waste too much time with any of that. Lincolns assassination shouldn’t be given any extra attention. The imaginary film maker in me thinks that they should start the movie with it. Especially given the book’s ending (no spoilers!). Lincoln becoming president should also be treated as just a step on the way to abolishing slavery, which in itself should be more about why he wants it gone, and less on actually getting it done. 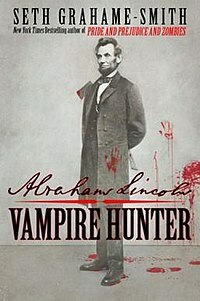 One of the things I found interesting about the book is how few vampires Lincoln himself actually kills. It does make sense that once he is president he is older and no longer in the hunting business, and this also draws back to my earlier point. Based on the trailer anyway there seems to be plenty of action, and if it follows the books lead we see a lot of pre-president Abe. I envision the movie largely taking place between his first finding out about vampires and just before he runs for president. Make key points out of Abe learning to use his axe, his first attempts and hunting, and especially his first encounter with Henry. This has to breathe into the almost father/son relationship it could be, setting the stage for Abe to go running “errands” for Henry. I’m pretty sure we can spend about 25 minutes on the Civil War and be good. The action is all pre-politics. 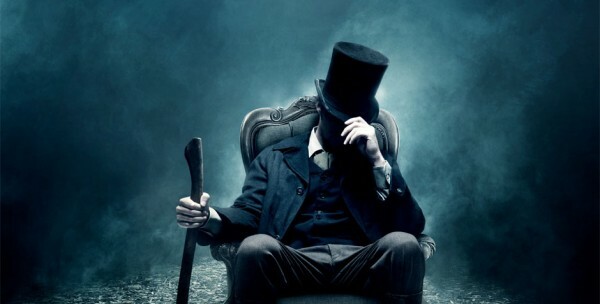 Of course they could change things up and have Abe fighting the leader of the vampires in the White House to end the Civil War, but I feel like that might make it a little more ridiculous that an Abe Lincoln vampire movie needs to be. Abraham Lincoln went through a hell of a lot in the book. Basically everyone he loves is killed or threatened by vampires (okay some spoilers there). For the sake of time and the mood of the movie I think we can get away with omitting, or at least brushing over, some of the tragic moments in Lincoln’s life. First off, we can wipe his first fiancee right out of the story. Plenty going on to push him without her. We can also knock out the early offers Henry gives to revive his children. Save that for the last one and have a good ole fashioned outbreak of emotion. One thing that better not get cut out are the dream sequences. Those were some of the more entertaining parts of the book, and could be an absolute mind trip if done right on film. Anything else that needs to be included? How about things that should be left out? Be heard and leave a comment!